Professor Akin Osibogun, a Public Health Physician and Epidemiologist of the Department of Community Health & Primary Care, CMUL/LUTH, has warned that Nigeria lacks proper emergency response to disease outbreak, as no fewer than 1,000 Nigerians die yearly as a result of disease epidemics. Professor Osibogun said that Nigeria currently lacks capacity to contain any epidemic disease as it did to Ebola virus when it broke out in the country. 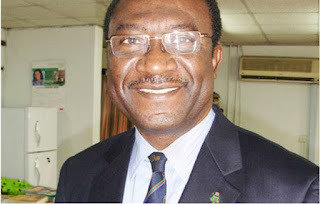 The former Chief Medical Director, Lagos University Teaching Hospital (LUTH), Lagos, bared his mind in a lecture entitled, “Emergency Response to Disease Outbreaks: The Way Forward in Nigeria” he delivered at the 8th Annual Symposium of the Health Writers’ Association of Nigeria (HEWAN) in Lagos on Saturday. Osibogun attributed the high death rate to the leadership’s lack of political will and preparedness to combat disease epidemics in the country. Warning that it was far cheaper to be prepared than to combat disease outbreaks, Osibogun said that a strong health system was better placed to prevent disease epidemics and respond faster to save lives. He said that political commitment was highly needed to make adequate funds available to provide adequate infrastructure such as laboratories for prompt diagnosis, researches, treatment centres and medical equipment. Osibogun said there should be constant training and retraining of medical personnel for emergency preparedness, adding that the Federal and State governments and other health agencies must have strong collaboration on measures to contain disease outbreaks. He submitted that as a nation we need to anticipate epidemics and be well-prepared via surveillance system, investigation control measures, implementation of prevention measures as well as continuous monitoring. Hon. Olusegun Olulade, Chairman, House Committee on Health, Lagos State House of Assembly, also contributing, said that the issue of health was a collective project that should not be left alone in the hands of government. Dr. Oluyemisi Ogun, Medical Director, Psychiatric Hospital, Yaba, Lagos, who also spoke at the symposium said that although the threat of communicable disorders was evident, the nation ought to be more worried about non-communicable disorders like drug abuse. Ogun said, “We are talking about communicable diseases, but we have another epidemic on hand, which is the issue of drug abuse. We are seeing more and more of this and it is a menace. I would urge that attention be drawn to it urgently. Ogun noted that all the security agencies, particularly the National Drug Law Enforcement Agency (NDLEA) should be at the forefront bringing the issue of drug abuse to the public domain. Prof. Mojisola Adeyeye, Director General, National Agency for Food and Drug Administration (NAFDAC) in her submission, raised the alarm over the spate of abuse of codeine containing cough syrups. Prof Adeyeye represented by her deputy, Mrs Abayomi Bolaji, lamented that the agency was worried about the incessant abuse of codeine in recent times.